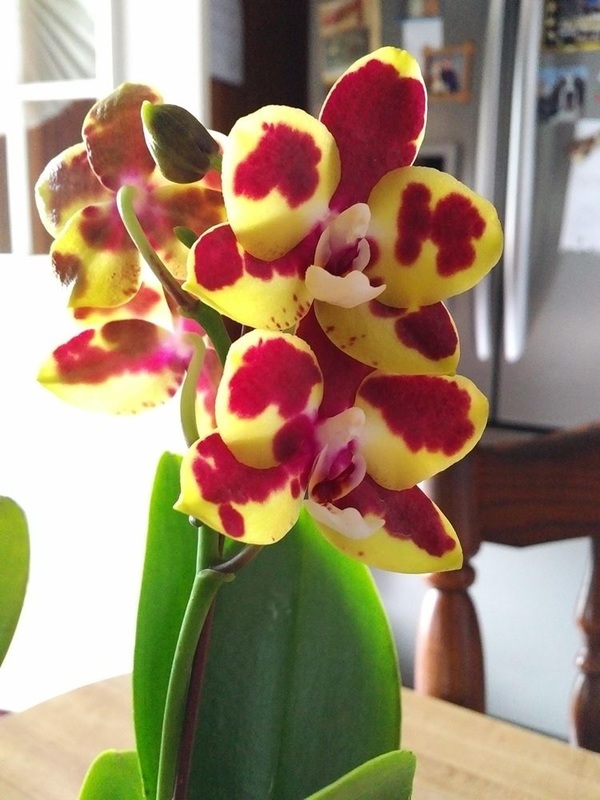 Why are Fruit Flies Hanging Around My Orchid? 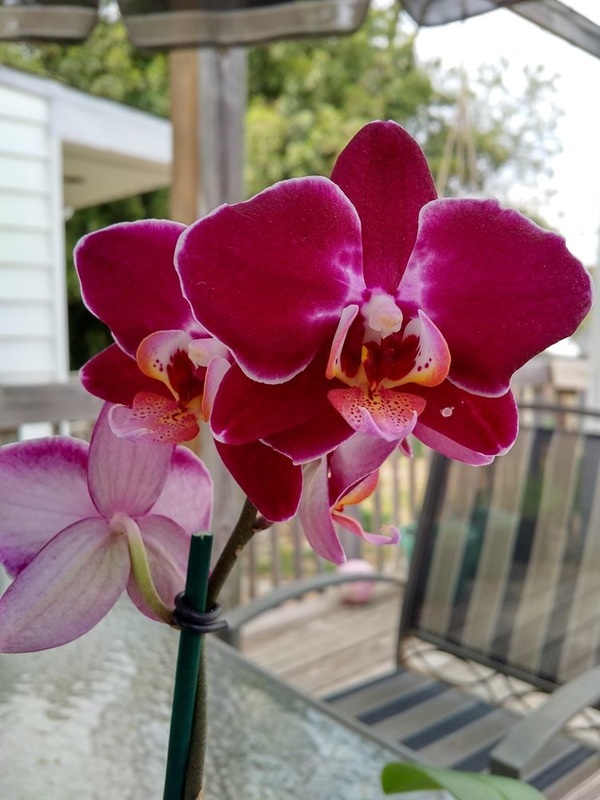 Actually, what you are seeing are not fruit flies at all, but rather fungus gnats…pesky little critters that are more annoying to us than they are to our Orchids. Rest assured that fungus gnats are a very common annoyance that even the most reputable greenhouses deal with on occasion. 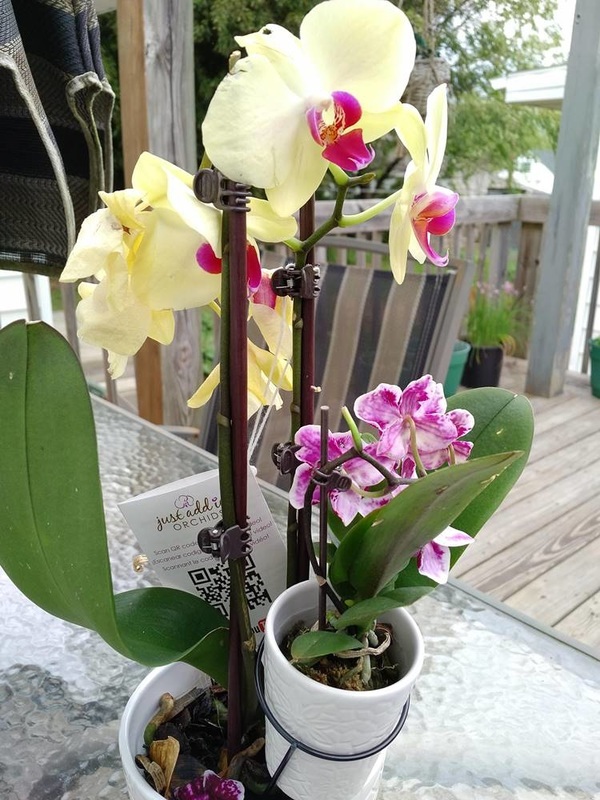 There are two reasons why fungus gnats are hanging around your Orchid: first, your potting media may be so broken down, it has become a haven for fungus gnats to lay their eggs, so their larvae can feed off the decaying media; or second, your Orchid may be dealing with some rotted roots which are feeding the fungus gnat larvae. Broken down Orchid potting mix is a haven for fungus gnats. 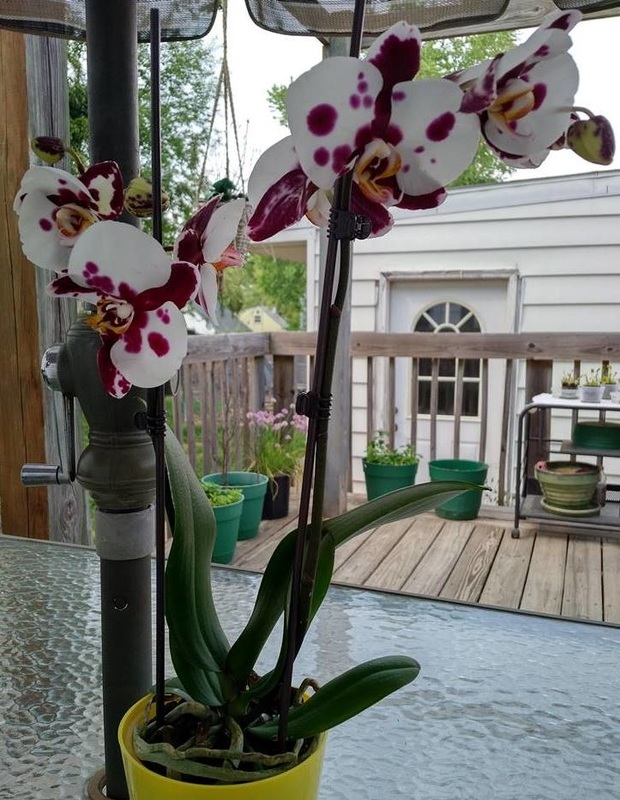 Either way, it is beneficial to the health of your Orchid, and your sanity, to take the Orchid out of its pot, inspect the roots and at the same time, repot in fresh media. If you see any brown or rotten squishy roots, cut them off with a ﻿sharp, sterilized instrument﻿ (either scissors or razor blade) during the repotting process. To help control and prevent fungus gnats, allow the top one inch of its media to dry out between waterings, as this is the area fungus gnats lay their eggs. Dry media kills the larvae, reduces fungal growth and prevents the adults from laying eggs. 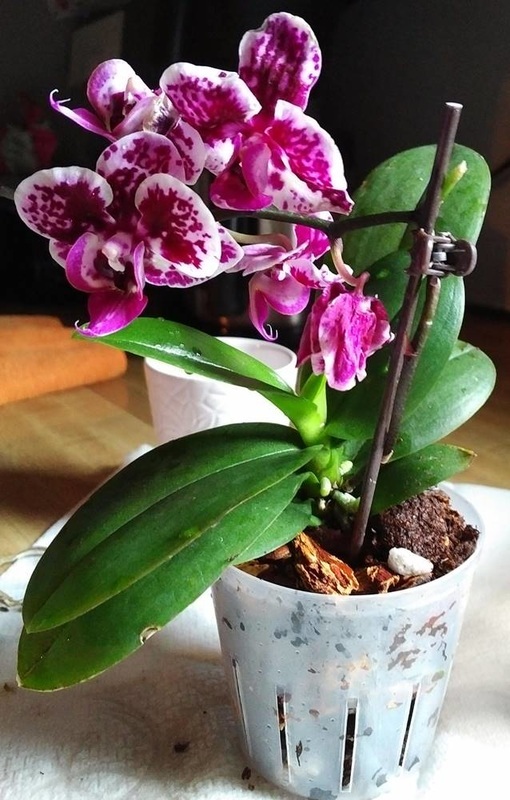 Most often, fungus gnat larvae has already made a home in your Orchid at the store before you even bring it home. 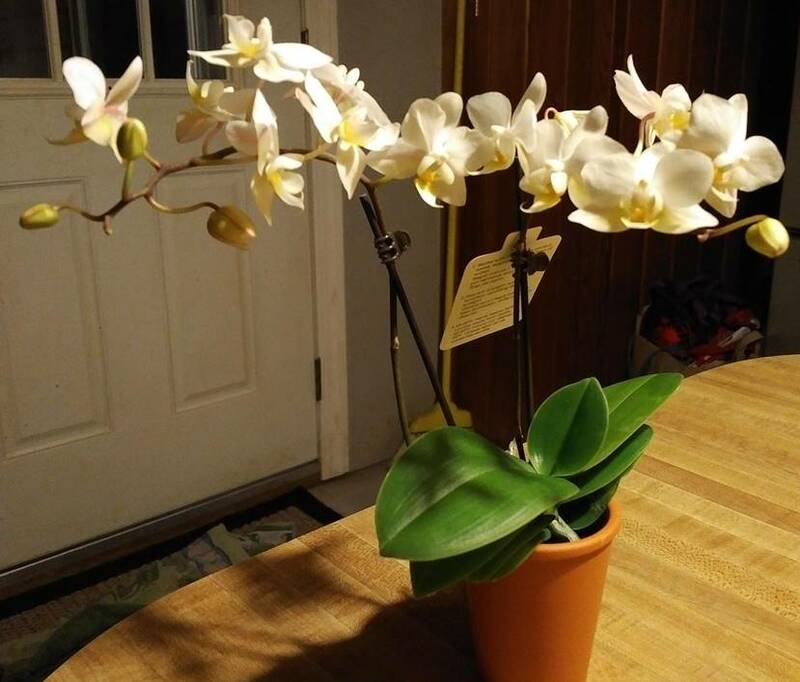 This is why it’s important to check the media as soon as you bring your new Orchid home. 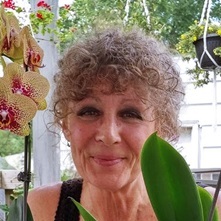 Fungus gnats are not harmful to Orchid leaves or blooms; however, their larvae can be detrimental to new delicate roots. Adult fungus gnats can also spread disease. 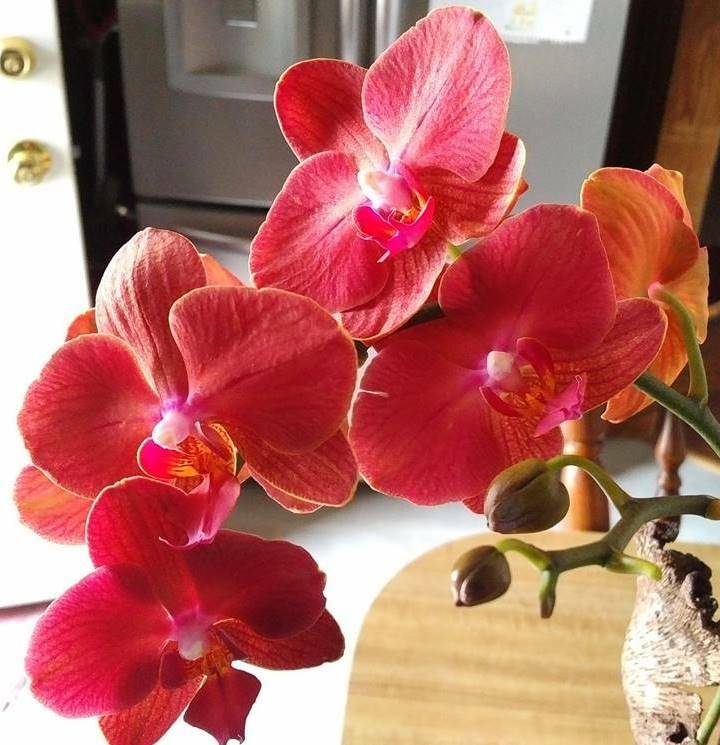 So if you see even one flying around your Orchids, let this be your cue that something might not be right inside the pot. It is important to check the media and the roots as soon as possible. 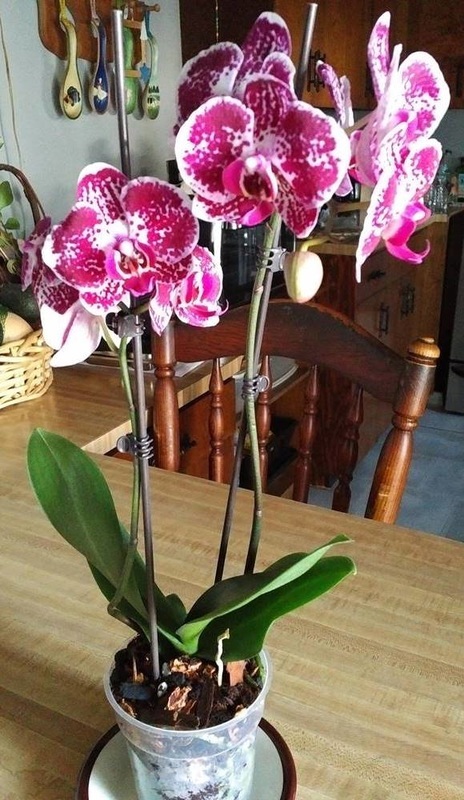 If left untreated, other Orchids and surrounding house plants will quickly become victim to these indiscriminate pests. 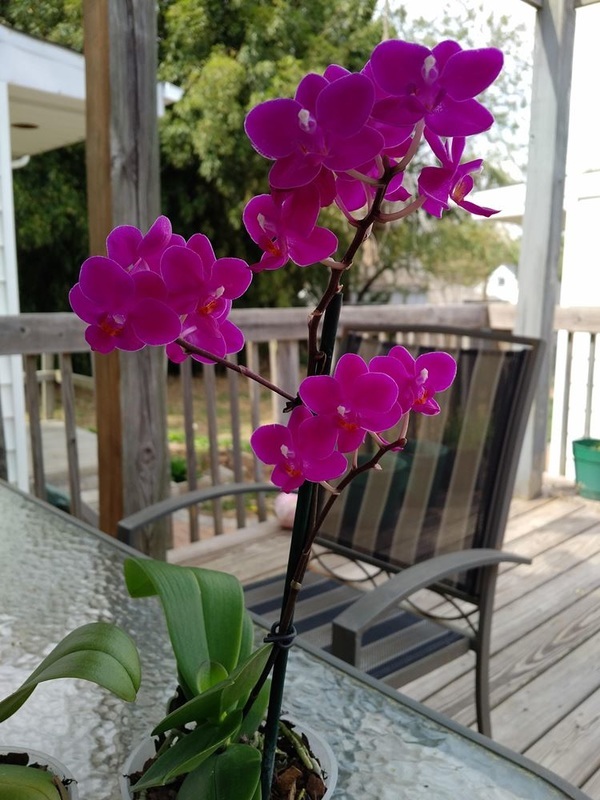 Even after you repot your Orchid, you’ll probably still see a few stragglers flying around. You can try Yellow Sticky Traps, Mosquito Bits (which I’m currently experimenting with as a preventative) or if you’ve really got a green thumb, you can try carnivorous plants like Sundews or Butterworts, which have sticky leaves fungus gnats love. 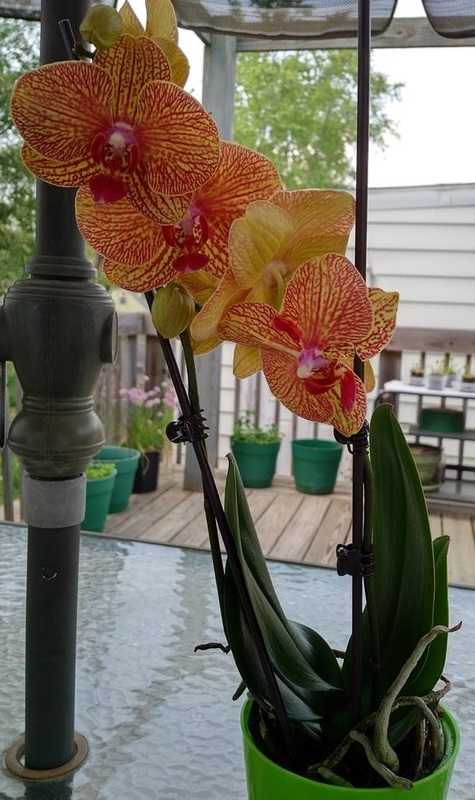 Since it’s summer, my carnivorous plants are living outside; however, to catch the few fungus gnat stragglers, I do bring my Sundews inside after the sun goes down to catch the ones still flying around my Orchids. But PLEASE, before you purchase a carnivorous plant, be sure you understand the DO’s and DON’Ts…they can easily be killed, even with plain ole tap water.